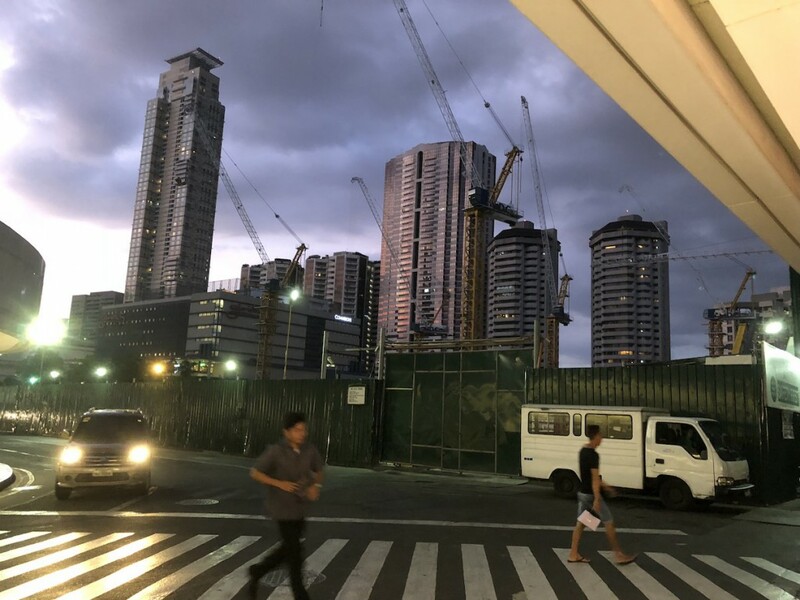 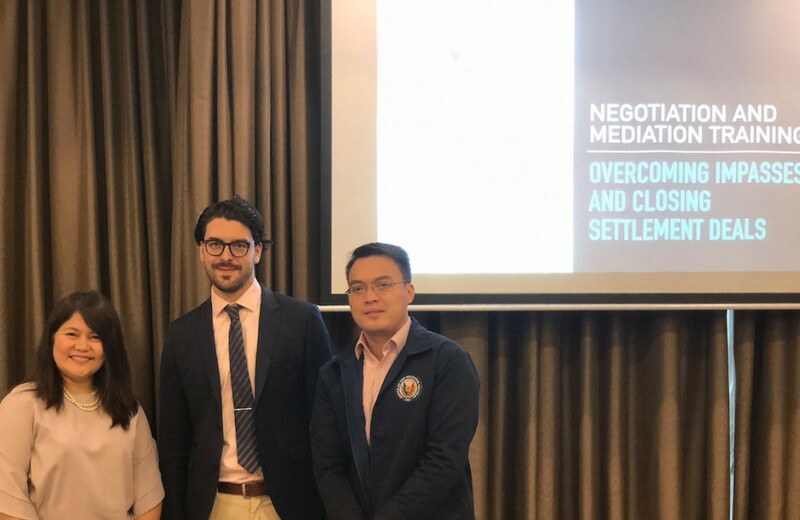 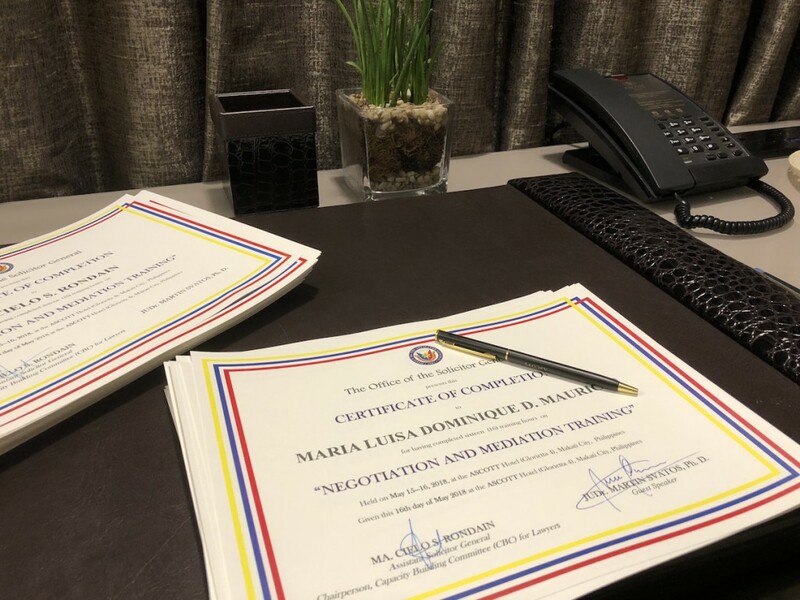 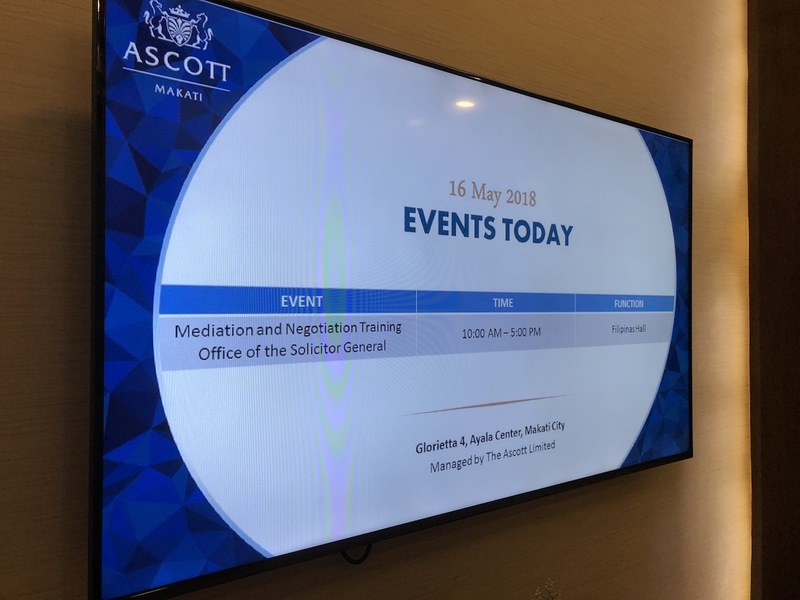 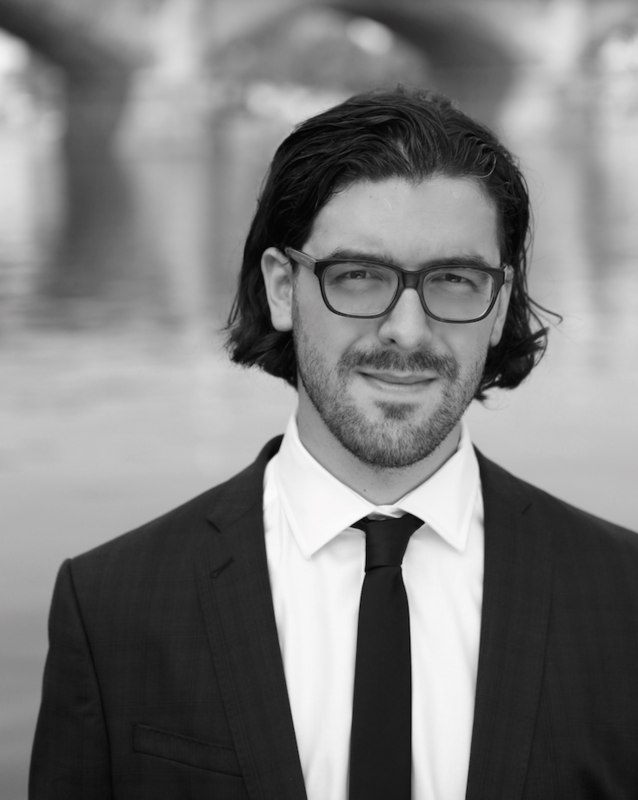 Dr. Martin Svatos, Ph.D. was honoured to be invited to give a seminar on negotiation and mediation for the Office of the Solicitor General of the Philippines. 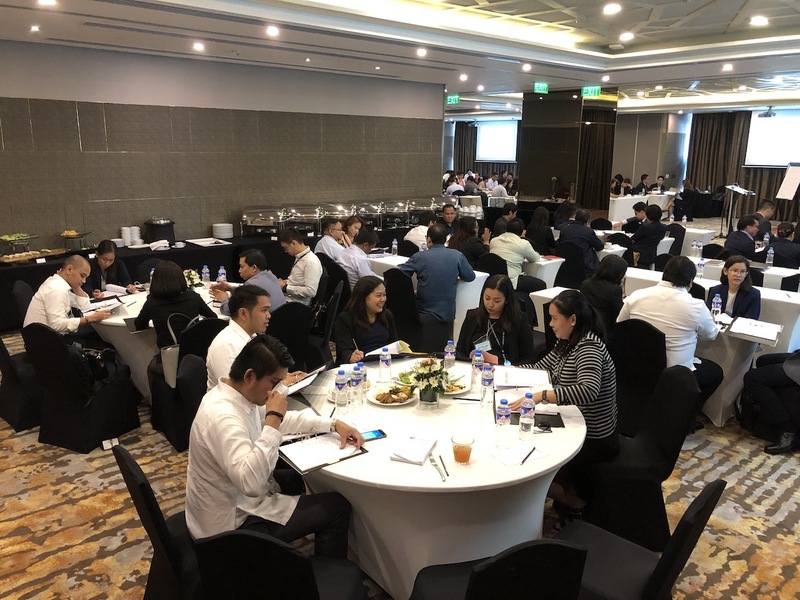 On May 15 and 16, 2018, the intensive and interactive seminar was held in Manila, Philippines and it was attended by more than 100 lawyers. 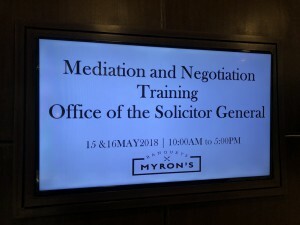 Apart from the theoretic introduction including the basics of negotiation, mediation techniques, mediation of investor-state disputes, and international public disputes resolution, the participants were able to try the negotiation and mediation roleplay too. 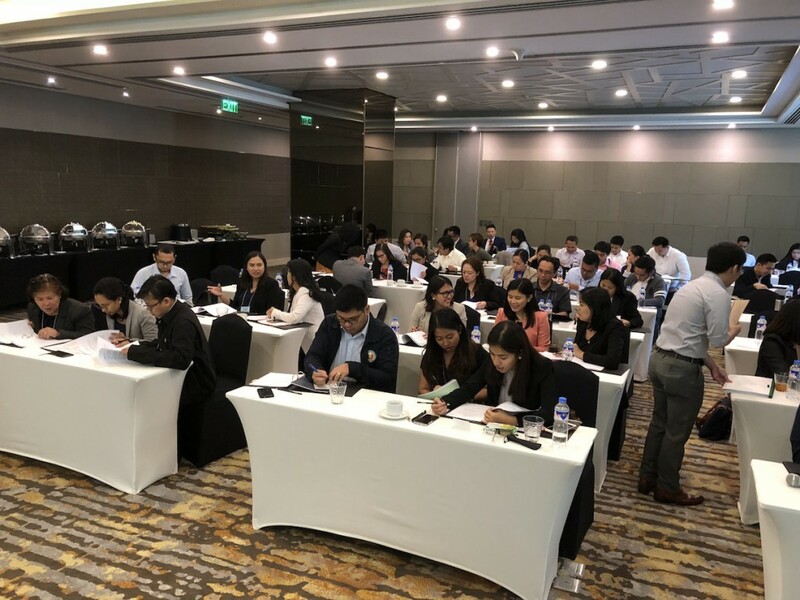 The participants were rendered the certificate of attendance.